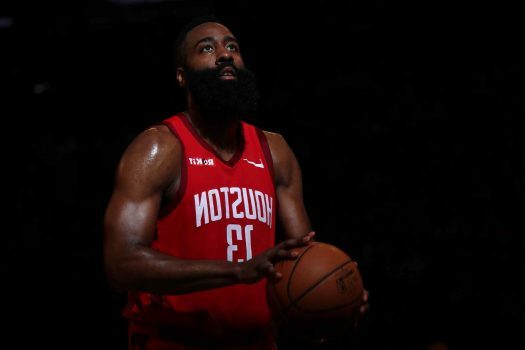 James Harden on Tuesday night became the first player in NBA history to score 30+ points against all 29 opponents in a single season after he led the Houston Rockets to a 121-105 victory over the Atlanta Hawks. Harden supplied 31 points and 10 assists and Clint Capela added 26 points and 11 rebounds as the Houston Rockets won their third straight game in the NBA. The Rockets have won 12 of their last 13 games overall and 10 of their last 13 road games, sweeping away the two-game season series with the Hawks for the second straight campaign. Harden added 31 points, sinking 11-of-12 from the line and had 10 assists as well as eight rebounds. Danuel House Jr. came off the bench to score 19, including six three-pointers while Chris Paul scored 13 and had 11 assists. Atlanta got 20 points and 10 rebounds from John Collins, who posted his 30th double-double and 21 points and 12 assists from Trae Young, the rookie’s 24th double-double. Taurean Prince added 16 points while Vince Carter downed five three-pointers and scored 15. Atlanta briefly took a 61-59 edge on a three-pointer by Dewayne Dedmon but the Rockets answered with consecutive treys from PJ Tucker, Paul and Harden to regain a seven-point advantage in the third quarter. Houston extended the lead to 11 on back-to-back baskets by Harden and Capela which made it 78-67. They entered the final quarter leading 84-72 as they coasted to victory without much resistance.